Eruptions and Lava Flows on Kilauea: What’s Going on Beneath Hawai’i’s Volcano? Over the past few weeks, we’ve seen increasingly spectacular images reported in the news of the ongoing eruption at Kilauea volcano, on the Pacific island of Hawai’i. These have been tempered by reports of growing destruction, with houses and infrastructure bulldozed, buried or burned by lava flows. Typically, the crater at the summit of the volcano is where eruptions are expected to occur, but the geology of Kilauea is complex and a rift on the eastern side of the volcano also allows magma to erupt from its flanks. Over the past decade both the summit crater and a vent on the eastern rift, called Pu’u O’o, have been continually active. The summit crater has hosted a lava lake since March 2008. Over the past three weeks, activity at Pu’u O’o has stopped, while a series of fissures has opened roughly 20km further east in a subdivision known as Leilani Estates. This area was previously affected by lava flows in 1955. 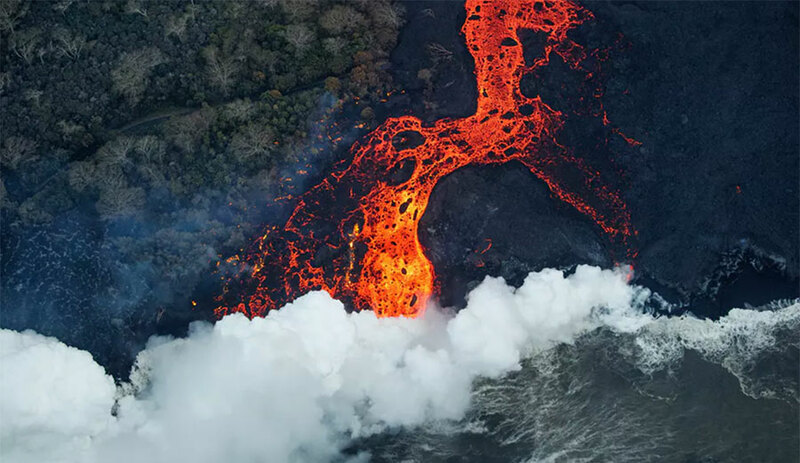 To date, 23 fissures have opened, starting off simply as cracks in the ground, with some developing into highly active vents from which significant lava flows are forming. By combining measurements from Kilauea of ground deformation, earthquake patterns and gas emissions during the current eruption, with observations of the lava that is erupted, volcanologists will be able to piece together a much clearer picture of what triggered this significant change in eruption over the past few weeks. This knowledge will be crucial in planning for future eruptions, both at Kilauea and at other volcanoes.